We welcome all of you to the "Pearl of the Indian Ocean"
We the De La Salle Brothers, the staff and the trainees of Diyagala Boys' town greet you and are happy to have you in our midst. "AN INSPIRED EDUCATIONAL FORCE TOUCHING HEARTS AND TRANSFORMING SOCIETY"
Stranger, bid them Godspeed along that sunlit road! To make Boys' Town the most sought out Training Institution especially by the parents of poor youth. 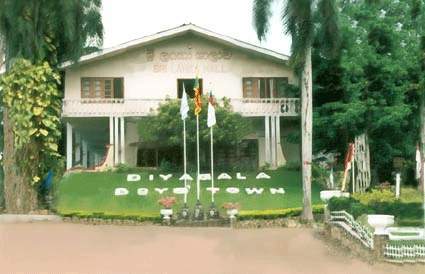 The Founder made poverty the most important qualification to gain admission to Diyagala Boys' Town. It is the poor who needs our help and we must help them. To provide and promote value education to the poor and marginalized youth & give them excellent training in Technology, Agriculture and Animal Husbandry with assistance of devoted staff & supervisors. Provide a four (4) year Residential Training Program with all facilities to fit them employment or self-employment and enable them to become productive citizens of Sri Lanka.